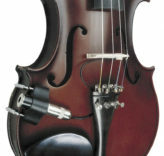 A violin pickup will allow you to electrify your acoustic violin and play through an amp or pa system. 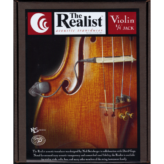 We carry brands like LR Baggs, Fishman, and Realist. Contact us if you need help choosing the best violin pickup for your needs or if you do not see the pickup you want to purchase. Click on the individual violin pickup products for more details and larger pictures.